I very recently put some shelves up in my master bathroom with the sole intent of having them be plant shelves. I thought this print would add just the right touch. I think my love of plants stems from my mom who always had plants in our home (and still does)! She loves working in the yard and she is my go-to plant lady whenever I have plant related questions. My sister also has a household full of plants, so it must just run in the family! You can never have enough is my general rule of thumb! 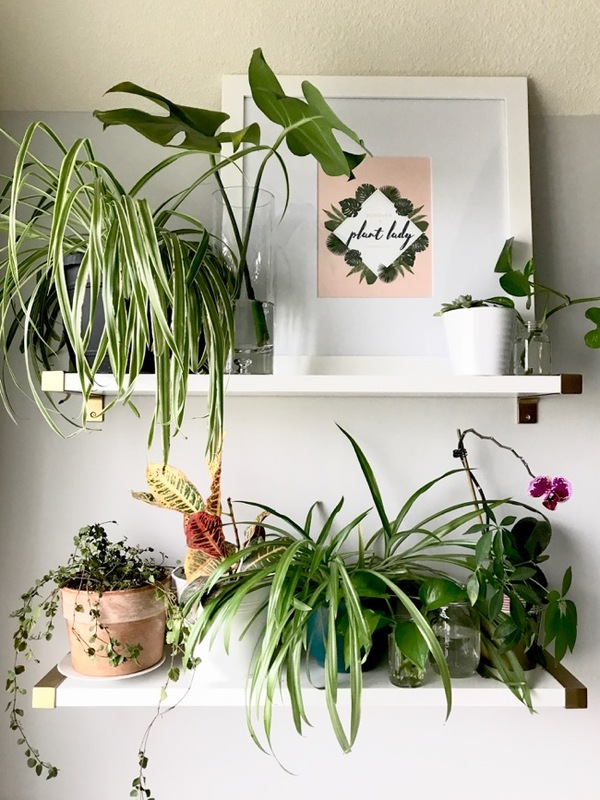 Plants add life and color and fresh air to a home and space. 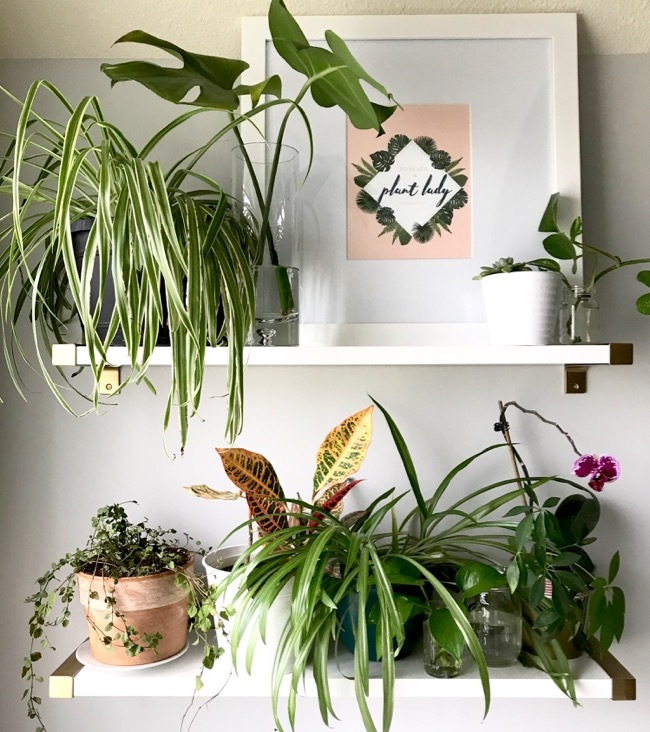 If you have a ton of plants, you need this printable in your life! 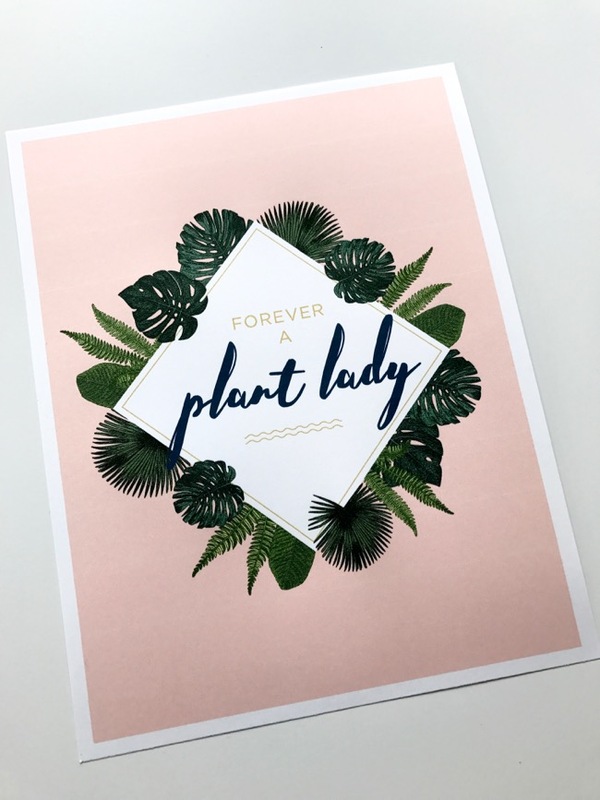 If you don't have any or only a few, go buy some more and become a " forever plant lady"! I think this could make a sweet gift for a teacher or friend or coworker! 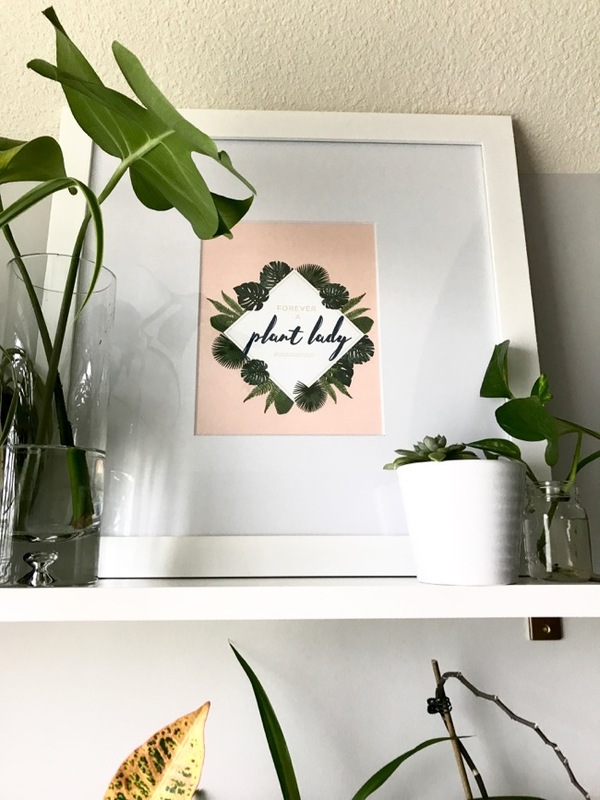 Simply print, frame, and give with a small plant. Easy!